(Photo: Ivars Kupcis/WCC)WA candlelight prayer service in the Chapel of the Ecumenical centre, Geneva for a successful North Korea-US summit and peace on the Korean peninsula. All around the world people are praying for the success of U.S. President Donald Trump's June 12 summit in Singapore with the North Korean leader Kim Jong-un. Many people in North Asia and in the world are hoping and praying that what Trump goes into will bring about a lasting and just peace on the Korean Peninsula which has official been at war since June 1950. President Trump called his upcoming summit with Kim Jong Un a "one-time shot" for the North Korean leader to reach a deal over his nuclear weapons, while again tempering expectations for a major breakthrough, Bloomberg News reported June 9. "I feel that Kim Jong Un wants to do something great for his people," Trump said at a press conference on Saturday in Charlevoix, Canada, where he attended a summit of leaders from the Group of Seven nations. "It's a one-time shot and I think it's going to work out very well." As people in Seoul held candlelight vigils to pray for peace on the Korean Peninsula, they were joined by the World Council of Churches in Geneva, the National Council of Churches of Christ in the USA (NCC), and hundreds of others across the world. 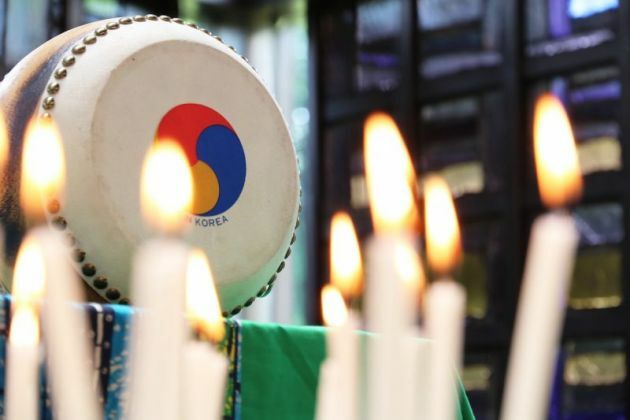 In downtown Seoul week, the Presbyterian Church in the Republic of Korea and the National Council of Churches in Korea (NCCK) co-led a candlelight prayer service for the success of the coming Democratic People's Republic of Korea-USA summit scheduled for 12 June. Ki-yang noted that some are seeking to block such efforts through accusations and condemnation of the other. He encouraged people to courageously share a message about the need to drop hostile threats and persuade national leaders to seek peace through building mutual trust. The Seoul prayer service concluded with a candlelight prayer march from City Hall to the front of the U.S. Embassy near Gyeongbokgung Palace. The NCCK asked its partners to continue praying in solidarity for a successful outcome of the DPRK-U.S. summit. In the United States, the NCC also drew people together the same day in Washington, DC for prayer and reflection. "Today we gather for peace and diplomacy," said Christine Ashley, field secretary for the Friends Committee on National Legislation. Rev. Maidstone Mulenga, director of Communications for the Council of Bishops of the United Methodist Church, said: "Today as we offer prayers for peace on the Korean Peninsula, those of us in the United Methodist Church stand with the rest of the world in praying for peace." The effort for peace in Korea goes back decades, reflected Jim Winkler, NCC president and general secretary. "The churches in this country, along with those in Korea and all over the world have been active presences in this cause," he said. "We have prayed simply - and some would say idealistically - for peace but we have also worked at the sophisticated levels in developing proposals for peace, in holding conferences, in meeting with governments, in refusing to demonize 'the other.'" In advance of the historic meeting, Open Doors, the group that monitors Christian persecution worldwide is calling all American Christians to a day of prayer and fasting on Monday, June 11th. "We would also like to invite you to join an exclusive online Prayer Summit for North Korea on Monday evening, where Christians around the world can gather to pray for this landmark meeting as the Trump/Kim meetings are kicking off," said Open Doors. 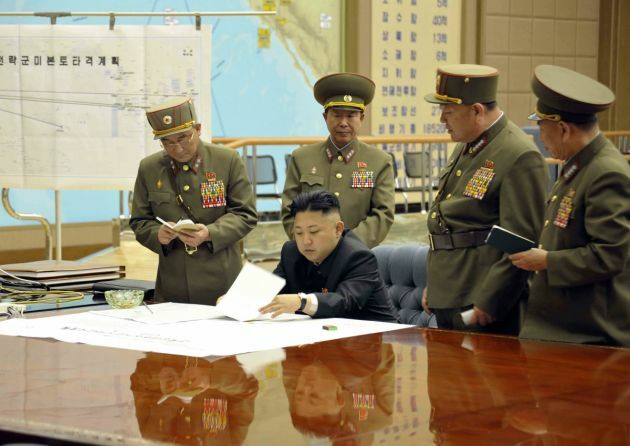 North Korea ranks #1 on Open Doors World Watch List for 17 years in a row. They'll share behind the scenes details relaying how North Koreans are forced to worship their leaders, how Christians are imprisoned and how Bibles are illegal. "It is our hope that God will use this meeting between two world leaders to pave the way for a new era of religious freedom in their country," said Open Doors.